Due to this, many people study history and actually like it. For such history lovers, I’ve completed a special list of books that will engage and captivate you from the first words. However, if you are not that interested in history, you should also consider reading these books because they will not only teach you about a lot of new things but will also change your opinion about this subject. The book written by Tom Brokaw tells readers about the life in the USA during the time of the Great Depression and the Second World War. The most appealing and exciting thing about this book is a unique style of showing historical events through vital stories of individual people. This method allows readers to feel the reality of certain events and almost travel back in time to see everything with their own eyes. Individual stories of heroes and heroines of that time weave together into the story of the whole generation. Reading this book will make every person proud for their nation. I recommend reading it to every person who is interested in history or simply loves good books. Unlike The Greatest Generation, The Book Thief is a novel and historical fiction, yet I am confident that history lovers won’t remain indifferent after reading it! The story occurs during the Second World War, and the action takes place in Germany. The distinctive feature of the story created by Markus Zusak is the narration that is led by the death, which is reasoning about the beauty and ugliness of the war and destruction that it brings. This book was written by Robert Service and can be deservedly called one of the best historical books ever! Despite the fact that the author covers quite complex topics on its pages, the book is easily readable and catches any reader’s interest really fast. In this book, Robert Service talks not only about the tension between the Soviet Union and the USA during the times of cold war, but also covers situations in Afghanistan, China, and Vietnam. This book provides quite accurate description about this period of time, so it can give a good understanding of this part of history even to someone who had never learned about the Cold War. This book is truly one of the best novels with history background that was written by mankind. The author of this book is Australian writer Thomas Keneally and based on its plot, famous film director Steven Spielberg created a great movie called the Schindler's List. In my opinion, this book doesn’t need any presentation, but every person must read it! Margaret MacMillan is the author of this book. It tells about lives of politicians, military leaders, diplomats, and other influential people who failed to prevent the upcoming war. It clarifies the reasons that lie behind the beginning of the war and what action of the world’s leaders had pushed it to the breaking point. The American Lion by Jon Meacham tells us a story of Andrew Jackson, his life, his friends and the election of 1828 when the new era had started in American politics. Not only history lovers will enjoy reading this engaging book, those who are interested in politics and its development will also find it interesting, so this book is definitely a good addition to this top ten of greatest history books. This book is written by a very talented writer Lynne Olson. In this book, she tells us about the USA when it forged its WWII alliance with the Great Britain, but she tells it from the point of view of people who played the main roles in this event - Edward R. Murrow, Averell Harriman, and John Gilbert Winant. The book reveals events of that time in the behind-the-scenes style. The story about the meeting of the Big Three – the president of the USA Woodrow Wilson, the prime minister of the Great Britain David Lloyd George and the premier of France Georges Clemenceau lies in the plot of this book written by Margaret MacMillan. Their meeting took place in Paris in 1919 and was one of the biggest events of that time because this meeting was meant to create a lasting peace between all countries. The book Unbroken is a work of Laura Hillenbrand; this book covers the event that happened in May of 1943 when a bomber of Army Air Forces had crashed into the Ocean and disappeared. After this tragedy, one of the people who were on the board appeared on the ocean’s surface. The book tells about his struggles and fights for life. This book gives a description to the famous photograph that is considered as an American symbol of independence and courage. The book is written by James Bradley. It tells the story of the battle in February of 1945, which was one of the last fights in the Second World War and after the win American soldiers had raised a flag as a sign of their victory. Each of these books is a literary masterpiece, which reminds us of our past and exalts the best qualities of mankind that crafted our bright future. Every point of this list is unique and valuable part of history and literature that is worth your attention. 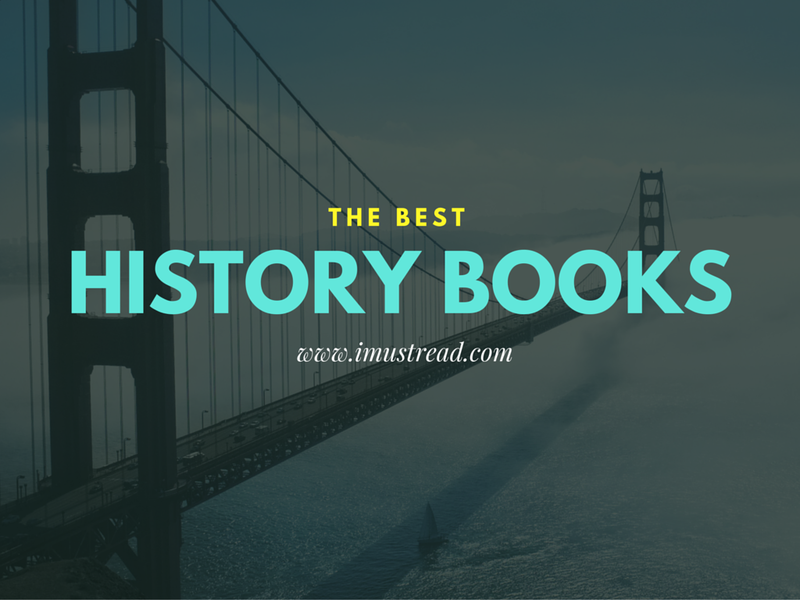 I hope that true history lover will enjoy reading books presented in this list and those who used to think that history is boring or unimportant will change their opinion after reading one of these literary masterpieces. Kelly J. Harris is professional writer at Phdify.com writing service with major focus in history. As an educated historian and just a person who loves this subject, he had prepared a list of 10 the most interesting and engaging books about history.